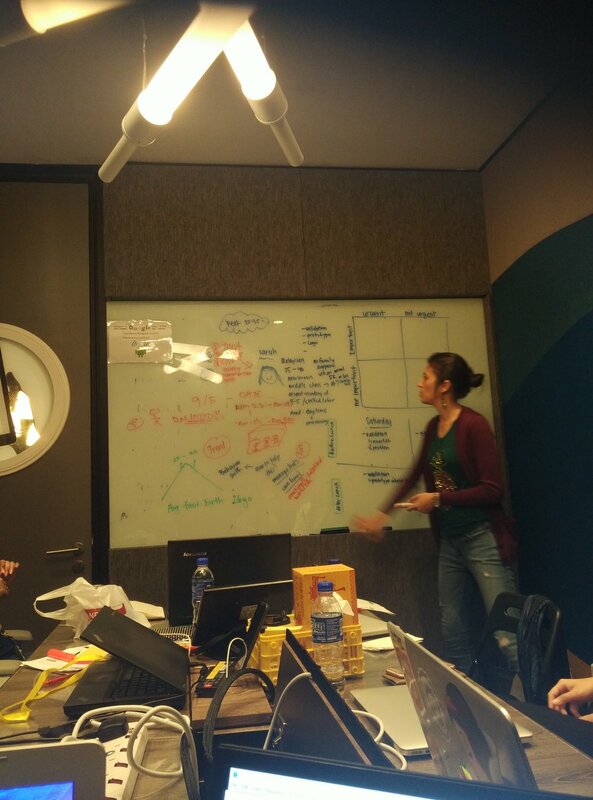 So started off the hackathon marathon with SWKL (Start Up Weekend KL) at Google. 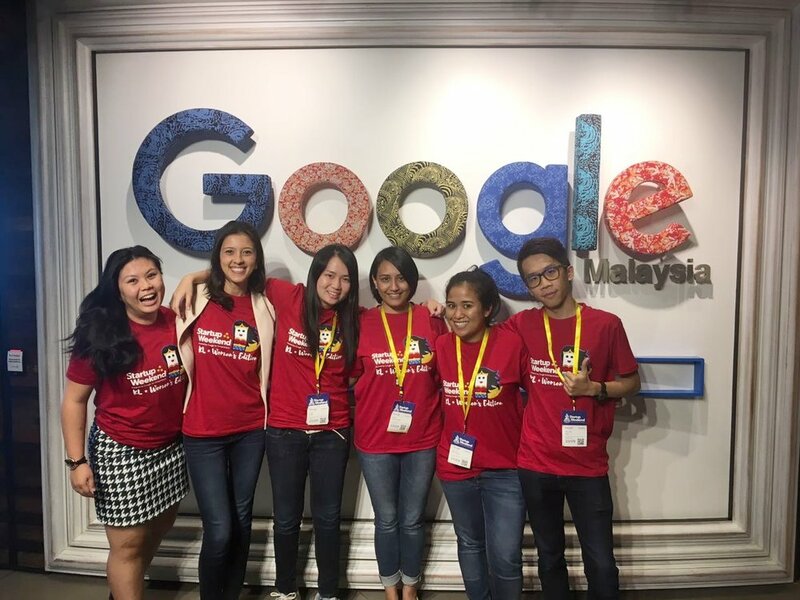 Really wanted to go for this one just because it was hosted at the Google offices in KL. So I got Norman and Cara to come with me. 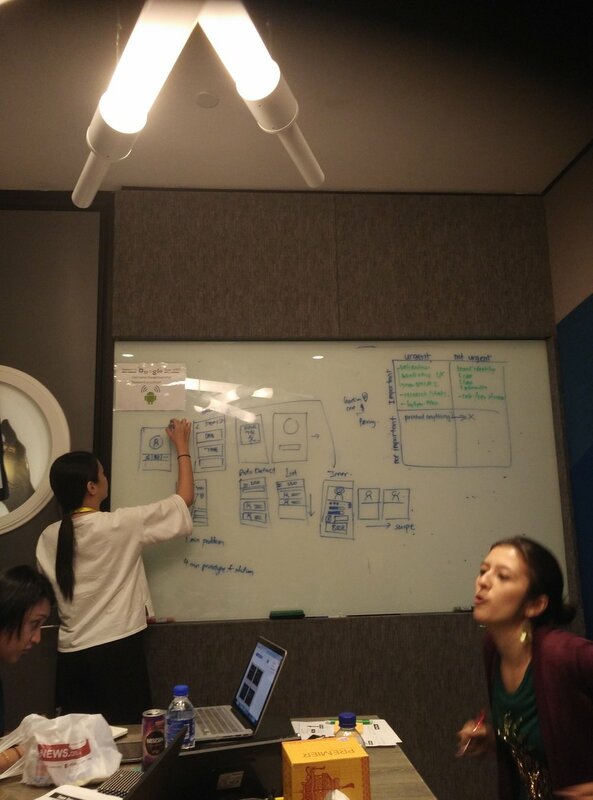 On the bright side I learned a bit about the Business Model Canvas which startups use to plan their business. It was actually quite interesting to see how it worked and the relationships between the categories. I also met a lot of cool people, including a really awesome and fast UI designer, Irene who I would like to collaborate with on future hackathons. We pitched an app called "LILO" which is kind of like an Uber for babysitters. The premise of it is that most mothers leave the workforce to care for their children. "LILO" offers these women the option to not leave the workforce by matching parents to babysitters. I think the idea of empowering women to get back in the workforce is awesome, but in real life it would be super hard to implement as you have to vet babysitters, check health and safety laws, etc. Overall we got 1st runner up/2nd place a.k.a. first loser. Didn't win anything major, just some books by startup founders and a big certificate. Cara did a really awesome job with the pitch and I just ran through the demo. I probably wouldn't go to this again because I do prefer hackathons where you have to code, where everyone codes and where I can stretch my technical abilities. But at least I learnt something I guess and all knowledge is good knowledge.